Erected by JANE McKIE in memory of her husband JOHN McNEE who died 30th September 1883 aged 54, late of the Scots Greys, one of the Balaclava heroes. 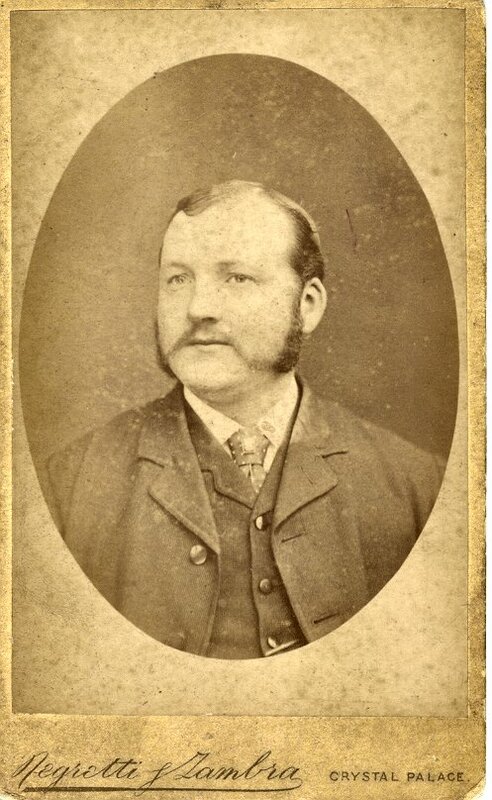 JOHN LYMBURN who died 11th August 1904 in his 20th year. 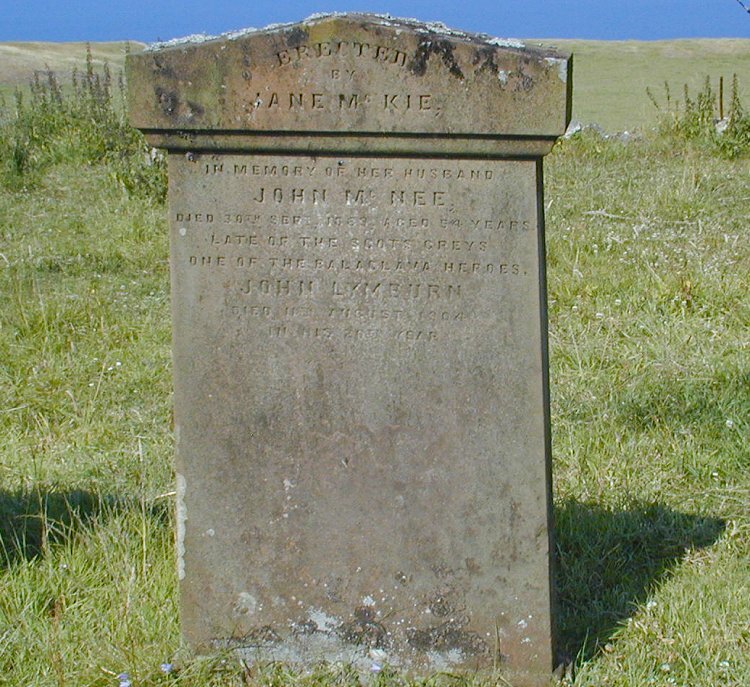 John McNEE died on September 30, 1883. He was a Soldier. He was buried in Kirkbride Churchyard #46. 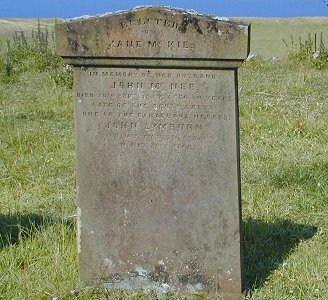 Monumental Inscription at Kirkbride Churchyard - Erected by JANE McKIE in memory of her husband JOHN McNEE who died 30th September 1883 aged 54, late of the Scots Greys, one of the Balaclava heroes. JOHN LYMBURN who died 11th August 1904 in his 20th year.